NELSON'S GREEN BRIER DISTILLERY's recently launched $500K capital raise promises to rekindle the Nelson's Green Brier Tennessee Whiskey brand, now led by founder Charles Nelson's great-great-grandsons, Charlie and Andy, respectively the startup's 27-year-old CEO and 29-year-old COO. They're sons of Bill Nelson, co-founder of Little Planet Learning. The Nelsons recently reported their raise had thus far yielded $210K, which came from management, friends and family. Prior to relaunching the Green Brier brand, itself, the company will first relaunch another old whiskey brand: Belle Meade. Production of Belle Meade will be outsourced, allowing Nelson time to ramp-up revenue for his planned microdistillery and then produce and age its first Green Brier-branded products, using the original Nelson recipe. The Nelsons' advisor is former Maker's Mark master distiller Dave Pickerell. The original distillery was in Greenbrier, in Robertson County. The owners briefly pursued a $3 million round, but stood down from that effort, Charlie Nelson told VNC. ► Nashville Technology Council's annual awards gala is Thursday (Oct. 27), featuring a slew of tech, innovator and startup honorees. Griffin Technology President Mark Rowan is keynoter. Details. ► Nashville Startup Weekend is Nov. 11-13 at the Nashville Entrepreneur Center. Teams come together to create and pre-launch ventures. Sign-up now. ► The Nurse Company, the Nashville startup run by entrepreneur Sean Mathis, filed to raise $2 million. As reported by VNC in February, Mathis controls AllThingsNurses and other online properties serving Nurses. ► $12.2MM deal: Nashville-based Harbert Mezzanine Parters (John Harrison) was co-lead with Boston-based Candescent in acquiring North Carolina-based Softbase, a mainframe-computing tools provider, according to an SEC filing and media reports. 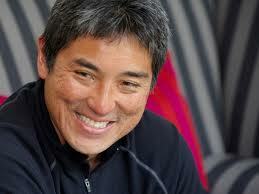 ► Apple's former "chief evangelist" Guy Kawasaki speaks on entrepreneurship at Belmont University, Nov. 17. Details here. Vanderbilt University School of Engineering is observing its 125th Anniversary this school year. VUSE has 12,317 living alumni, with 2,735 of those residing in Tennessee -- where some spawn new businesses. A local inititiative may be mounted to keep more VUSE grads in Tennessee, as previously reported by VNC. The next in a series of VUSE commemorative speakers is Arun Majumdar, director of the Advanced Research Projects Agency - Energy (ARPA-E). who will deliver a lecture titled “ARPA-E: Catalyzing Energy Breakthroughs for a Secure American Future” Wednesday, Nov. 9, 4 p.m., in VUSE's Featheringill Hall. ► HealthTeacher announced today Chris Stowers is now VP-development, after serving as executive director of the Arnold Palmer Medical Center Foundation and COO communications and branding, overseeing the fund raising and marketing efforts for the Arnold Palmer Hospital for Children and the Winnie Palmer Hospital for Women & Babies in Orlando. The company recently raised further capital and added tech leadership. ► Diagnovus is the TriStar Technology Ventures and Limestone Fund startup molecular-diagnostics company. The two TNInvestco's announced forming Diagnovus and making a seed investment of undisclosed amount; the startup also named former TTDC staffer James Stover, Ph.D., its first employee. Our story on that launch and its addition of a key exec is here. Its future webpage will apparently be here. Earlier this month, Diagnovus reported to TNINvestco officials it had received $50K each from Limestone and TriStar. ► Advance Financial may be the beneficiary of the nearly $3.4MM in equity and debt raised thus far, according to a recent SEC filing by Advance (Harpeth Financial). Associated: Mike and Tina Hodges, and CFO Patrick Conroy. The City Paper reported on the firm in 2009, right here. ► Franklin-based Deep Well Power LLC apparently aims for a $20MM equity raise. When contacted, filer Ryland Wiggs said he couldn't comment on the raise or its purpose. Deep Well was registered in 2008. Wiggs' LinkedIn page mentions affiliations with Aparea, the website for which reveals nothing; and, for Earth to Air, a geothermal HVAC business. Wiggs is UT and an Owen GSM degree-holder, he says. ► Hal Andrews picks-up another hat: Now, he's on the board of Medify, the Seattle company that helps caregivers with data for decision-making. We reported in August that Andrews joined the advisory board of Dublin, Ireland-based Lincor. His DataAdvantage sold to Press Ganey in 2010. NEXT: The Nashville Area Chamber of Commerce and the closely allied Nashville Entrepreneur Center chose NEXT Award winners who are believed to be "the area’s most innovative entrepreneurs and area businesses experiencing the most significant growth in terms of revenue and employment." The winners are here. The full listed of finalists for the awards is here. Five senior business leaders accorded Legacy Entrepreneur honors are here. eMids Co-founder and CEO Saurabh Sinha was named Overall Entrepreneur of the Year. 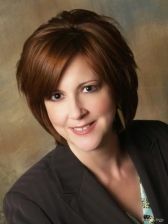 ► BEDROC, the recently adopted dba for two-year-old data, IT, communications provider ICV Solutions, is profiled by NBJ. Bedroc is the recent growth-category NEXT awards winner. 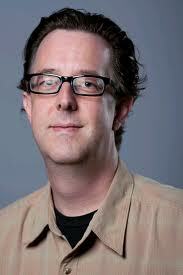 It is led by founder-CEO Cameron Plato. It has about 30 employees and projects $16MM revenue for 2011, NBJ says. Plato was previously with ProSys, Sarcom, Sayer, Corrections Corp. and his own Plato Productions, which supported the recording industry, according to his Linkedin. ► Petra Capital's David Fitzgerald is among those associated with a filing for a $1.3MM raise for New Century Hospice (David Gasmire's firm). Petra earlier invested $12MM in preferred stock and debt, when it co-led a $20MM round with Scale Venture Partners, according to the Petra Website. 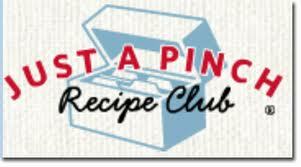 Just A Pinch Recipe Club, the Franklin-based unit of American Hometown Media (Dan Hammond, et al) recently announced adding Anne Balaban as consulting publisher and chief revenue officer. She was previously with Martha Steward and Reader's Digest Association. JaP also appointed Carl Trautman to lead ad sales as SVP. Trautman earlier led AllRecipes.com sales. VNC's earlier report on the company. ► Amanda Levy, a Vanderbilt and Owen GSM degree-holder and former Dell marketer, is now SVP-Group Manager in Nashville, managing Critical Mass (Calgary, Chicago) work for client Nissan. Music and entertainment ventures in Tennessee attracted less than 2 percent of the $125.3m private-equity capital invested in Tennessee in a recent two-year period, as reported by The Tennessean. Among factors cited as possibly contributing to improving early-stage investment in the sector are investors' successful exits from StudioNow (sold to AOL) and Echomusic (sold to Ticketmaster), and rising interest among such VC's as FCA Venture Partners, which is affiliated with Clayton Associates. Nashville information technology worker shortage is highlighted; recently appointed CEO Liza Massey says the talent supply is a priority for her at Nashville Technology Council. Our earlier story on related matters here. Helping to improve Nashville's situation: The Nashville Entrepreneur Center, more confident local VC's and former industry execs that know there way around the sector, says The Tennessean. MEANWHILE, NTC is having a bake-off among Belmont University students who have proposed social-media campaigns for recruitment of Tech workers to Nashville. ► Lawyers Hubbard and Berry keep their dayjobs at their firm, but launch an e-discovery service, initially focused on existing law clients. NashvillePost.com. Document Solutions is another local e-discovery service in Mid-TN. ► Universal Music Group has expanded Digster.fm to include Rdio, the on-demand social music discovery service from the creators of Skype. ► VC's are reportedly having trouble raising money from LP's, but continue to invest heavily, leading CB Insights analysts to ask when the cash will run out. The free report is here.